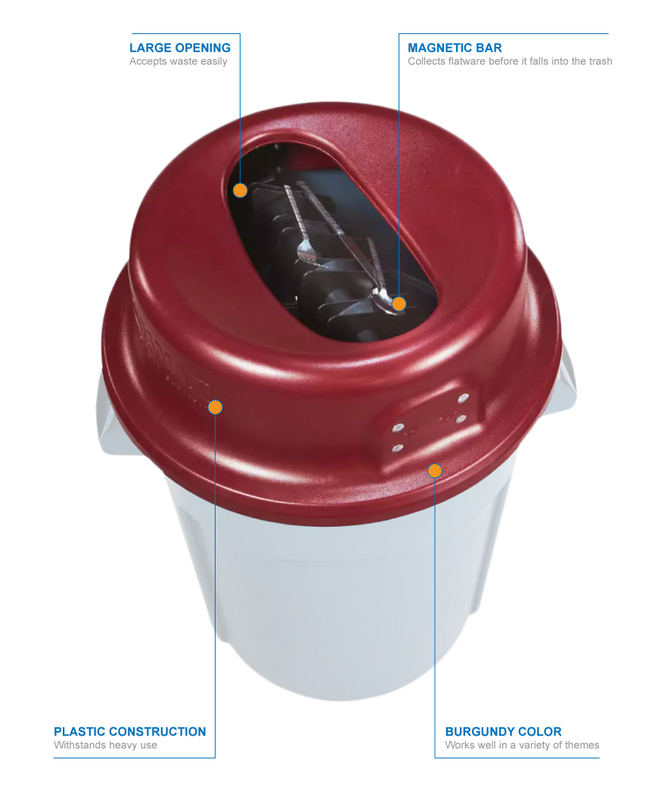 The San Jamar KA4400 KatchAll® flatware retriever uses a magnetic bar to collect flatware before it falls into the trash can. 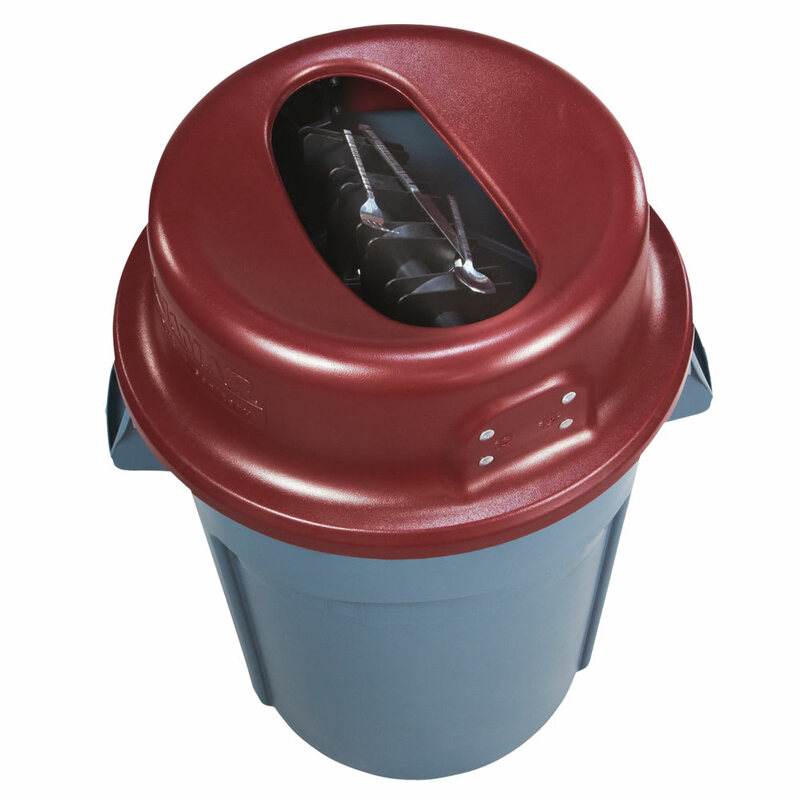 Since the magnet is completely enclosed, it is protected from most damage, and its large opening enables waste to pass to the 44-gallon round container (sold separately). 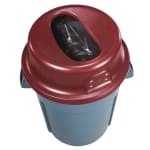 With its durable burgundy plastic, it fits into a variety of settings.